I'm sorry nobody has posted on this yet. This is super cool! I absolutely love the colorscheme and the leg design. It reminds me of Kraid from the Metroid series! Good work! 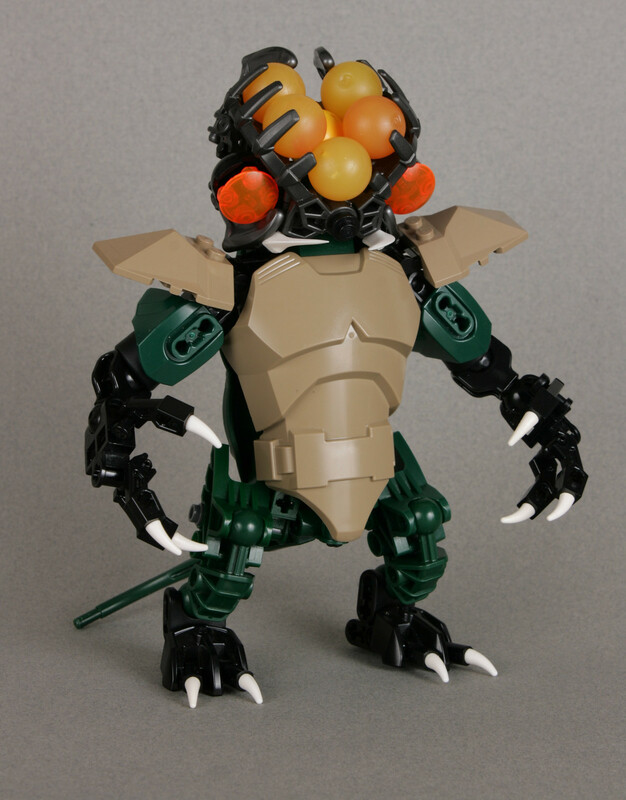 The only critique I have about this MOC is the head zamor spheres don't seem like a solid connection and despite creativity it looks like a separate thing from the MOC and not a part of the whole. But this is just one opinion, the body is great though and so is the head even without the spheres! Thanks! I'm a big fan of Metroid myself, and I can definitely see a bit of Kraid in this guy. I was playing Other M (for some reason ) shortly before building Space Beast and I think a bit of the Gripper enemies rubbed off on me during the build process. Thank you! The zamors are supposed to look like an exposed brain, but I can see that they might look kind of tacked on. Tokusatsu monster, my biggest inspiration, tend to have very unusual and distinct heads so I wanted to try and emulate that look a bit. Edited by CZQ, Apr 15 2019 - 10:04 AM.